Tork makes excellent products for wiping and cleaning and has a range of 11 different wipe types. Our job was to educate sales teams and end users on which wipe was ideal in certain situations. In order to do this, we created a lighthearted campaign with a specific personality for each product. Characters included a tough guy, sprinter, swimmer and chef, all designed to represent characteristics of the products. With these characters, we developed a range of sales tools including easy-to-use product selectors, quick reference cards, samples books, ads, brochures and a memory game. We even brought the campaign to wider audiences across Europe by using nine different languages. 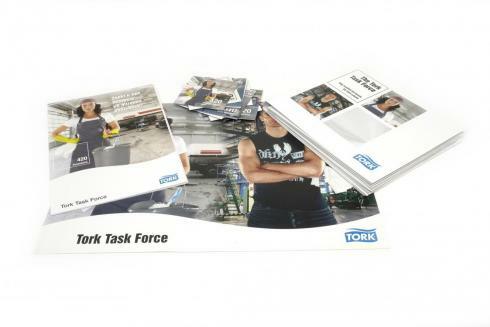 It’s now very easy to find the right Tork product for each task.